The mighty Microsoft has announced a new way to access Office 2013, which works on an ‘on-demand’ basis and will do away with the need to install Office physically on a machine. Microsoft say this is just one part of an ongoing strategy designed to keep up-to-date with the rapidly changing technology landscape. Due to the rise in mobile devices, which is only set to get bigger after the launch of Surface in October, the software company say that it intends to bring Office apps “as an integrated part of [their] Software + Services offering”. “Our goal with Click-to-Run in the new Office is to make finding, installing, and using the Office applications as fast, easy, and secure as possible,” Paul Barr, Lead Program Manager for Click-to-Run explained. 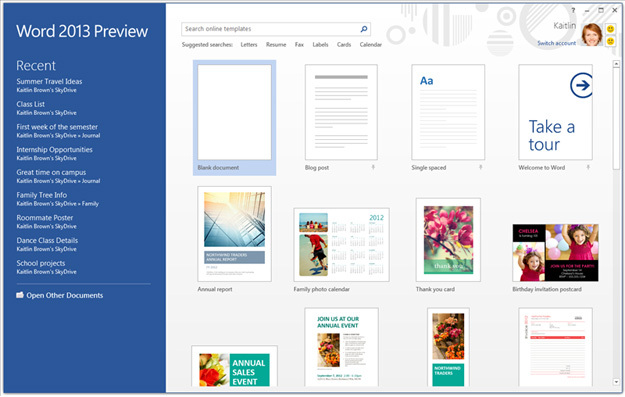 The Office 2013 Preview is already available for download and allows for installation on up to five computers. Barr said that the new version of Office will do away with compatibility issues experienced by some users. The new Click-to-Run (v2.0) version is expected to be available on Microsoft partner sites as well as their own and there will be a choice of 32 and 64 bit versions. “That’s the end of the Click-to-Run experience. It’s faster, smoother, and has better progress than any previous Office release. Early data says that Click-to-Run v2.0 installs actually succeed at a higher rate than Windows Installer packages, and we’re doing everything we can to make it the best installation experience ever,” Barr said. 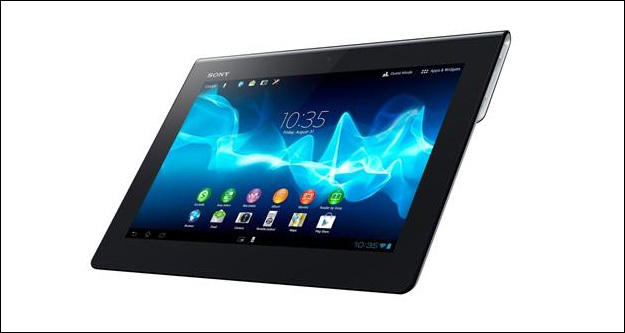 Sony has shown off its latest touchscreen tablet device, which has a rather large 9.4-inch screen and runs on Android. The new Xperia device is said to be thinner than previous models too, as well as being splash proof, supposedly so you can use in the bath (not recommended). 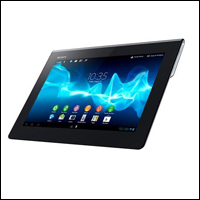 “Splash-proof Xperia Tablet S is designed for real-life use around the home and outdoors, so there’s no need to worry about casual water spillages if you’re checking a recipe in the kitchen with wet hands,” the Japanese firm said. Sony also unveiled their new ‘hybrid’ touchscreen computer, the Vaio Duo II, which will run Windows 8 and is designed to be used by more than one person at a time in what it calls its “family touch” design. The hybrid comes with a built-in stand and can be used with or without a keyboard. The move is sure to hot up the tablet wars even more, although with a 70% share of the tablet market, Apple certainly won’t be seeing it as a war. However, in the aftermath of Xmas, it will be interesting to see how much new models out on the market eat into that market share. Whilst the iPad is wildly popular, some feel restricted by iOS and Android remains the most popular OS in the world; therefore, it makes sense that should any model come close to threatening them, it would be Android devices. However, with many tablets now also being produced to run Windows 8, consumers may want to turn to an operating system they are familiar with from the PC market. Facebook are to roll out new ways to target potential customers which allows advertisers to target ads based on email and telephone numbers. However, this is not quite as sinister as it may first seem as, in order to use the feature, advertisers must use customer data that they have collected away from the social networking site. According to TechCrunch, who was “walked through” the process by a Facebook spokesperson, Facebook will have no access to the information that companies upload in order to target previous customers or those who have already shown an interest in their products. This data can be amassed in a variety of ways by businesses, such as through newsletter sign-ups, registering on a site or other means. Once the data has been uploaded to FB, the company can compare data held by the social network to target users whose contact details match those of FB users. 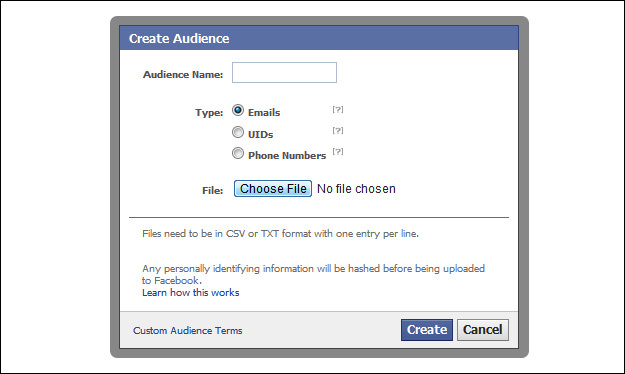 The idea is to reach those customers who aren’t already a fan of their existing page and create more business. The usual targeting approach for certain demographics will also be available to them, in order for businesses to really get to the people who are most likely to ‘like’ their page. Twitter has also improved its advertising model this week, encouraging advertisers to better target users. It works in a similar way to FB targeting insomuch as it allows companies to target people with certain interests and followers. “We’ve always taken a thoughtful approach to monetization, and early results show interest targeting creates a better experience for marketers and users. Today’s announcements are a big step forward for our advertising platform, and we can’t wait to see how you use them,” said Twitter’s Kevin Weil, Director of Product Management. Java has released a patch ahead of its usual quarterly release following the discovery of an exploit that potentially left 1000s of users open to infection from a virus that found a loophole in its security. Code which attacks Java has been added to the popular Blackhole crimeware kit and it’s thought that many users have already been infected with various malware. The kit requires no real technical knowledge and is designed to be a simple way for those with limited know-how to make money. Java is used widely in web browsers and has been criticised in the past for its lack of security, the program isn’t necessary for many web pages but some gaming sites use it. Tech experts recommend disabling or removing Java if you don’t need it. This week’s video features a prank played out by student Brett Cohen, who came up with the idea of making himself look like a celebrity. The prankster dressed in a suit and accompanied by suitably large bodyguards and a camera crew, took to the streets of New York. Soon he was surrounded by 1000s of ‘fans’ claiming to know his work in movies and music; it seems no-one questioned who he was. By the end of the evening Brett had 300 photos taken of him with ‘fans’ and created a huge buzz in Times Square.